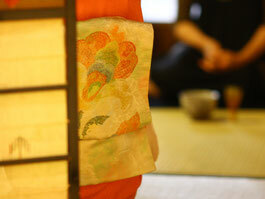 The foundation of Japanese traditional culture was laid in the Muromachi period. 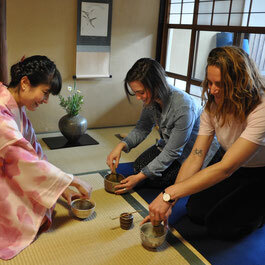 At that time, people called "ami" protected and promoted the emerging culture, including noh dance and the tea ceremony. 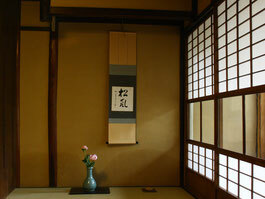 They were priests who served a shogun or feudal lord, and sowed the seeds of our classical aesthetic values. Ami emphasized equality, virtue, harmony and calmness in their contribution to cultural development. 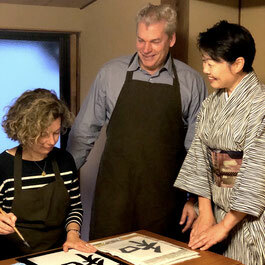 "Ami Kyoto" continues to spread their spirituality which still underlies the Japanese culture of today. 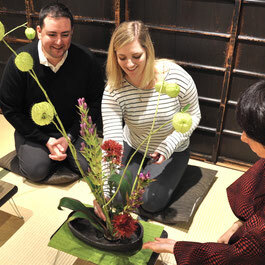 It is a unique opportunity to be able to spend time inside a traditional machiya or Japanese townhouse. 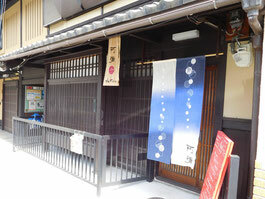 Kyoto was once filled with these simple wooden houses. Ours is about 80 years old and we think you'll agree it is still beautiful. Please come and immerse yourself in a quaint, yet elegant space.